Till yesterday I was under impression that I am saving my cellphone's battery by turning off WiFi and Bluetooth of my Android device. While that might be true to some extent, these peripherals continue to work even when turned off. By default background scanning of these two modules are active even you switch them off from settings. 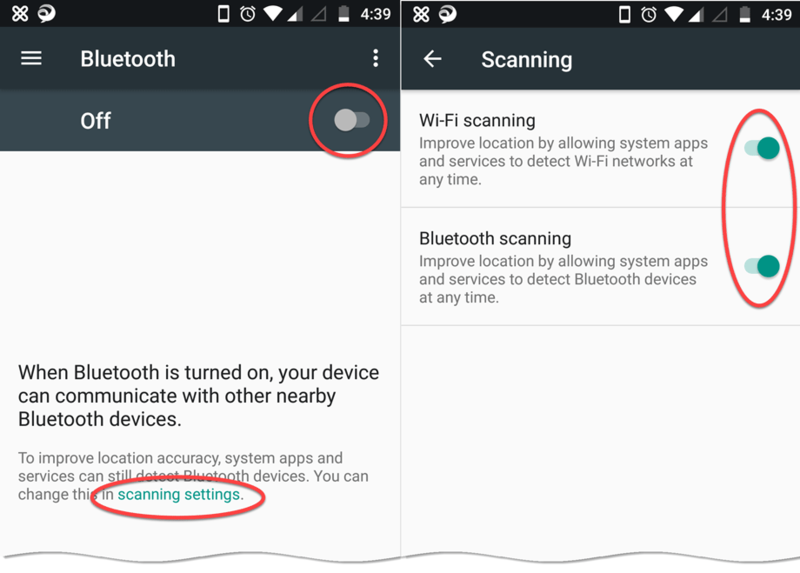 To completely turn them off, go to either Bluetooth or WiFi settings and tap on Scanning Settings. In the next screen you can turn off each one of them. Below is the screenshot from my Moto G5 Plus (Android 7.0).